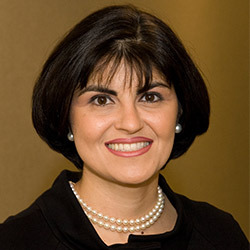 University of the Pacific, Arthur A. Dugoni School of Dentistry alumna Nava Fathi, DDS, has been named to the university’s Board of Regents. Fathi, a 1995 graduate, will begin her 3-year term on July 1. Currently, Fathi is an assistant professor at the Dugoni School of Dentistry in San Francisco where she will transition to a volunteer status during her time as a regent. She has been a member of the Dugoni School of Dentistry Foundation Board since 2009. She is a trustee for the California Dental Association, as well as the American Association of Endodontics Foundation Board. Outside of dentistry, she serves as a trustee and chair of the St. Andrews Episcopal School’s Development Committee and has been an active member in Rotary Clubs and many other service organizations. “Each organization has helped me develop a broad perspective of the profession that has made me a better dentist, educator and advocate for advancing oral care,” Fathi said.